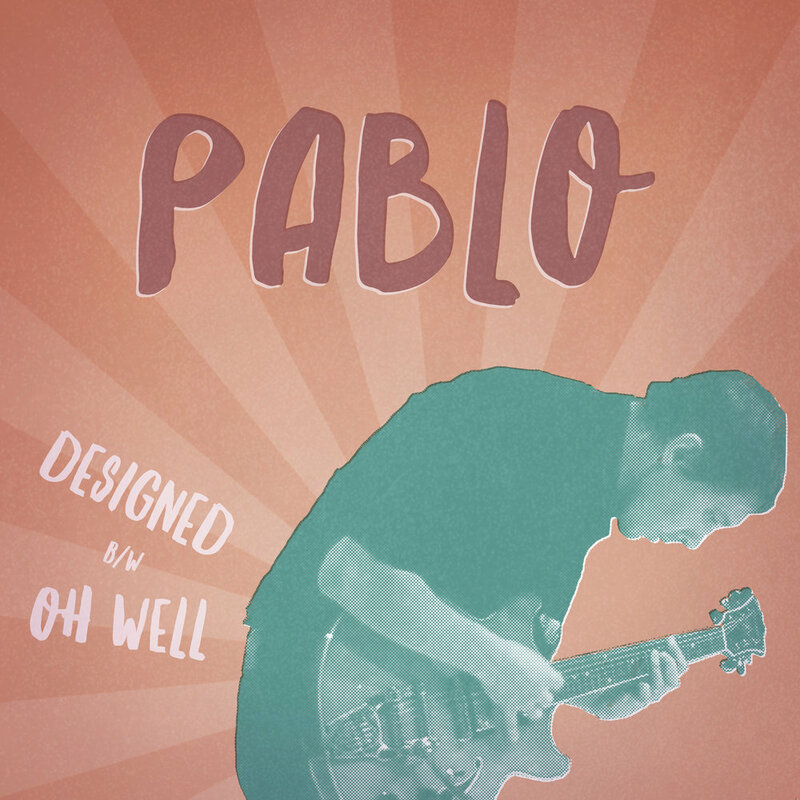 Pablo - Designed/Oh Well - 7"
‘Designed’ is a timeless tune, with a breezy, backing soundtrack to your life kind of vibe. Riding atop a steady pulse, lushy acoustic guitars, and some other worldly keyboard sounds, are melody and harmonies, sung by an unique voice, accompanied by an equally wonderful feminine counterpart. This tune cruses through the originality of a harmonic landscape built on the foundations of doo-wop with smatterings of The Band and Big Star, and any other musical outfit that was steeped in songwriting that had a refined sense of harmonic and melodic structure. The B-side ‘Oh Well’ is a song that resists categorization, but is sure to catch the ear of anyone who can flip a 45 over and drop the needle in the groove.